You’ve seen countless collections of Hello Kitty, a fictional cartoon character produced by the Japanese company Sanrio. Without a doubt, Hello Kitty is one of the most well-known characters in the world. Winning over the hearts of younger and older girls, it’s safe to say that you’ve seen her literally everywhere: from your little sister’s backpack to your university classmate’s tote bag. With those existing Hello Kitty collectors, may it be a man or a woman, you can’t quite shake off the fact that they obsessively splurge on buying every Hello Kitty merchandise being sold in the market. 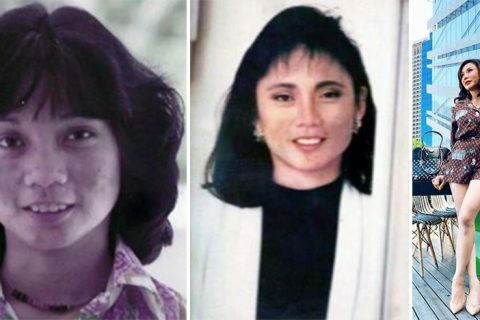 With that being said, no one can seriously get past the obsession of one Japanese local. 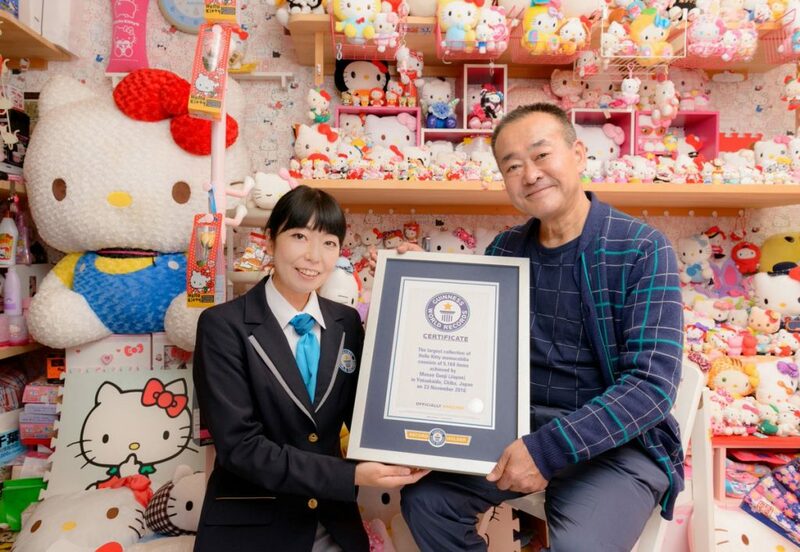 The man who goes by the name Masao Gunji and lives in Yotsukaido in Chiba, Japan has acquired more than 5,000 Hello Kitty memorabilia, earning him a Guinness World Record for the largest collection of this variety. 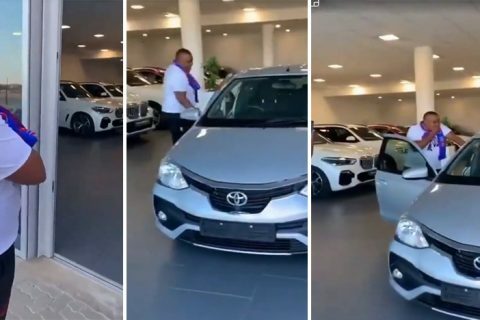 He actually has all the advantage in terms of the best merchandise, considering that he lives where the cartoon character originated from. 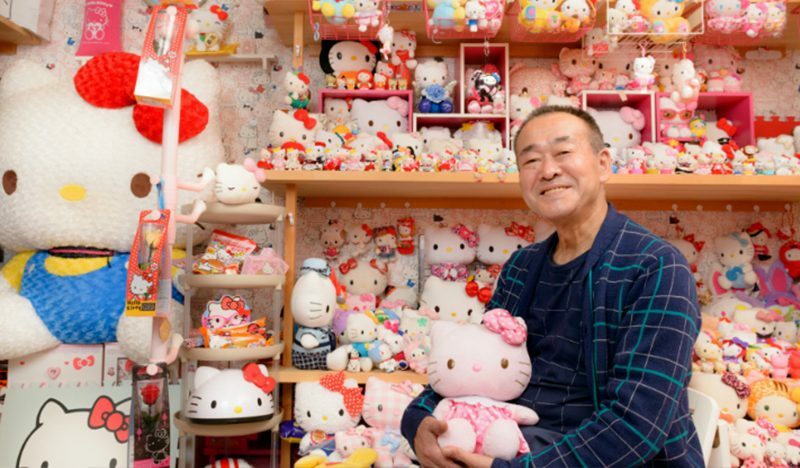 For more than 35 years, he has been collecting Hello Kitty stuffed toys, stationery, plushies, towels, clocks, etc. You name it, he nearly has everything in the store including Hello Kitty motorcycle helmets and kitchenware. 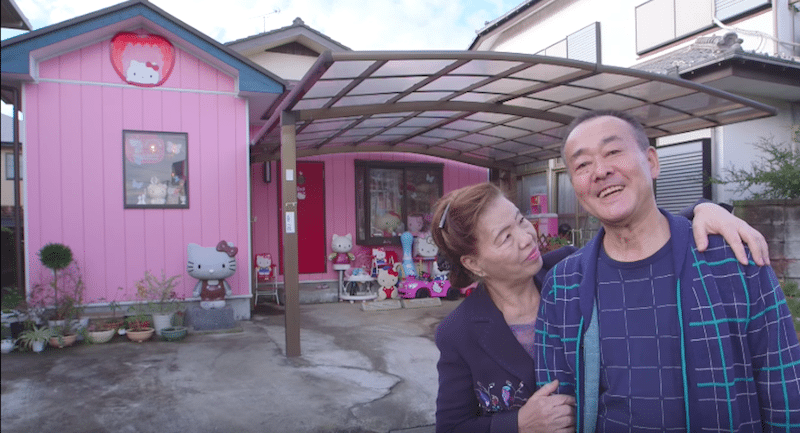 His home is also covered in pink with Hello Kitty wallpaper. But just to clear things out, Gunji is straight and actually a married guy regardless of his strange feminine fascination. 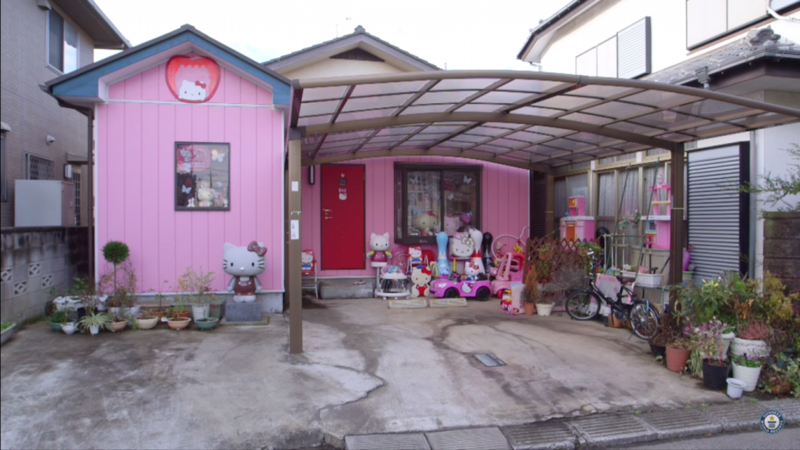 It’s not surprising any longer that his house became some sort of a tourist destination in Japan. “My neighbors enjoy visiting this house. I can see they enjoy relaxing here,” Gunji added. 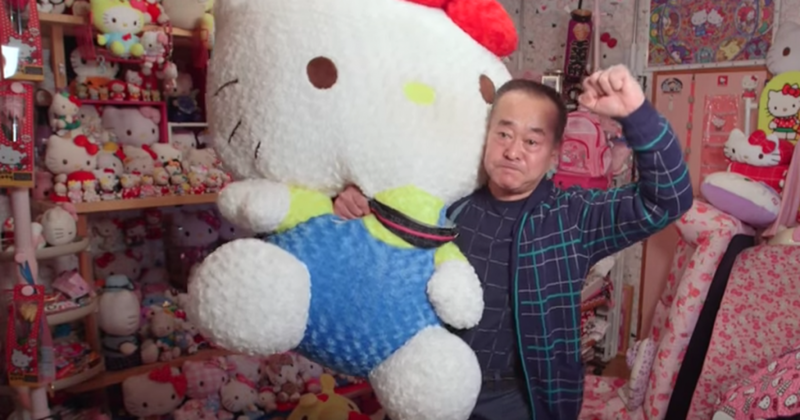 Thanks as well to his ever-supportive wife who helps him collect and buy Hello Kitty stuff whenever she can.